After pushing thousands of copies in local sales, Seattle’s F.T.S. 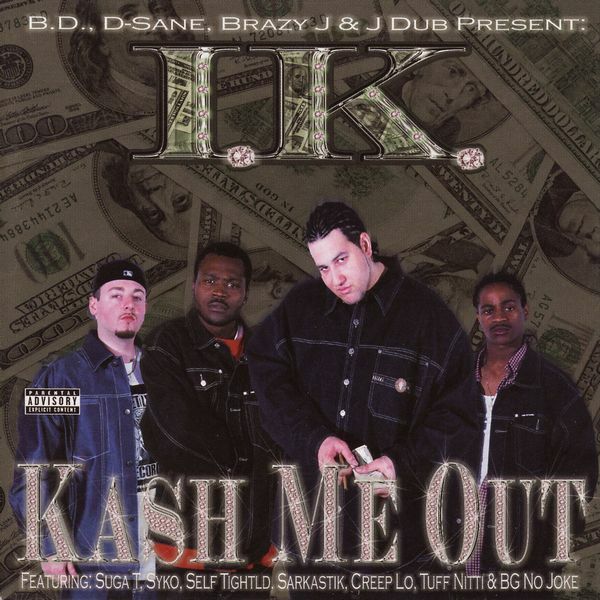 is back at it again with the release of I.K.’s (Independent Kash) “Kash Me Out.” Composed of B.D., J-Dub, Brazy-J and D-Sane of the original nine-deep F.T.S. clique, I.K. delivers the hard-hitting beats and street poetry that has made Street Level Records a Northwest favorite. “Kash Me Out” features tracks with Suga-T of E-40 & The Click and other Seattle MCs including Syko, Self Tightld, Sarkastik, Creep Lo, Tuff Nitti and BG No Joke. Other F.T.S members make cameo appearances as well.